Principle 1a: We propose a training model that combines the traditional content of graduate curricula with concepts, skills, and practices that are tightly connected with clinical work. The EBM model is distilled in a book, Evidence-Based Medicine: How to Practice and Teach EBM, which is updated regularly and has supporting electronic materials on web sites and a bundled CD (Straus, et al., 2011). The “User’s Guide to the Medical Literature” anthologizes a series of papers originally published in Journal of the American Medical Association, illustrating the principles and their application to individual patients (Guyatt & Rennie, 2002). Guyatt and Rennie also go into much more detail about the research methods and statistical tools used, making this a good reference for instructors as well as producers of research. There is a volume that concentrates on psychiatry and mental health applications; it does not cover all of the skills and ideas included in the other volumes, but it is helpful in concentrating on mental health examples (Gray, 2004a). As well, the Appendix contains a number of readings which can serve to enhance graduate courses on EBP. 1. Hands-on exercises during training in both clinical intervention and research methodology (such as searching the literature based on a particular clinical question and critiquing published treatment studies) will help students to integrate what they are learning from related coursework. There are tools available that can expedite the teaching and learning of this material. For example, there are scripts for “Critically Appraised Topics” and software supporting their use on computers and smartphones. Similarly, there are checklists devised to help rapidly appraise articles (e.g., QUADAS; JARS; American Psychological Association, 2010; Whiting, Rutjes, Reitsma, Bossuyt, & Kleijnen, 2003). In addition, standards are available to critically assess research and reviews (e.g., CONSORT, STARD, and MARS). 2. Students can benefit from exposure to recent methods for conducting research within the context of clinical practice, as an exemplar of how research and practice can and should be merged within this environment (see Castonguay et al., 2013). 3. Group supervision models also can promote the modeling and internalization of skills and critical thinking processes. There are a variety of exercises developed in multiple professional disciplines that provide examples that mesh well with psychological training (Hoge, et al., 2003; Straus, et al., 2011). Principle 1c: 1. Present practice-oriented research approaches and findings (e.g., phase sand patterns of change, outcome feedback, therapist effects, and helpful events during therapy session) to guide students in integrating data collection into clinical care (Castonguay et al., 2013). Also relevant to integrate and/or conduct in clinical practice is research on patient preferences, patient characteristics that contribute to treatment response, and cultural influences to treatment process and outcome. 2. Students can benefit from exposure to the “episode paradigm”. The episode (or event) paradigm involves different forms of research methodology (e.g., task analyses, comprehensive process analyses, interpersonal process recall) that are based on the assumption that therapeutic change is neither linear nor the result of a gradual increment of therapeutic interventions (or implementation of these techniques). Researchers working within this paradigm have argued that traditional process-outcome methods have largely failed confirm the positive impact of assumed mechanisms of change because these methods tend to (a) investigate mechanism of change in randomly selected sessions (assuming that all session are equally meaningful or impactful), and (b) correlate the frequency of these mechanisms with outcome (assuming that more is always better rather that recognizing that effective therapists adjust their level of interventions based on the need of clients, [Stiles, 1988]). 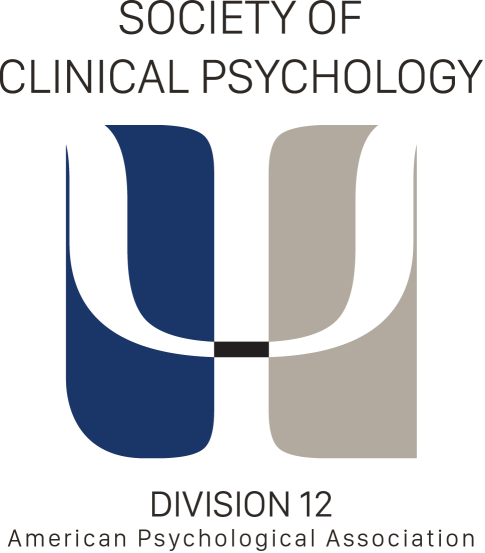 Instead, the episode paradigm is based on the assumption that change is frequently fostered by significant events or episodes that happen at specific (non-random) times during therapy. Within this paradigm, researchers have designed scientifically rigorous strategies to define (based on theory about mechanisms of change and/or clinical observations), identify and analyze (using both qualitative and quantitative methods) (1) meaningful events (in terms of client’s performance, therapist’s tasks and responsiveness, interpersonal climate and transactions between them), (2) the context within which they take place, and (3) their relationship with therapeutic progress (see Greenberg &Pinsoff, 1986; Rice & Greenberg, 1984). Principle 3d: 1. The Task Force has compiled a list of readings and websites including Cochrane; EffectiveChildTherapy.org, and PsychologicalTreatments.org (D12 Treatments website). These websites are updated periodically, which will facilitate teaching the most current evidence-based information about treatment. Moreover, students can be introduced to these websites, as an entry into life-long learning. 2. Journals that emphasize the integration of research with clinical knowledge include Journal of Consulting and Clinical Psychology, Psychological Assessment, Journal of Abnormal Psychology, Journal of Clinical Child & Adolescent Psychology, Behavior Therapy, Psychotherapy Research, Psychotherapy, and Evidence Based Mental Health. As well, we suggest that doctoral students attend conferences where evidence-based therapies are promoted and taught (e.g., Association of Behavioral and Cognitive Therapies, Society of Behavioral Medicine). This list of Journals and conferences providing high-quality information is not meant to be exhaustive, but rather to provide a few examples. Supervisors and trainers are encouraged to keep abreast of these and other outlets that provide high-quality information consistent with the evidence-based principles in this document, and encourage their students to use them as part of ongoing and life-long learning.